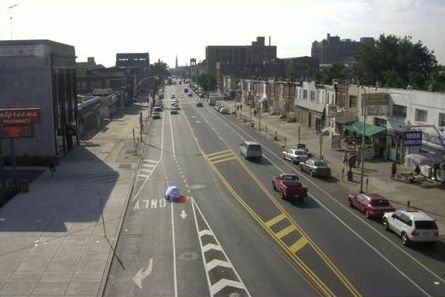 Retrofitting lanes on existing streets. Design at intersections and interchanges. No curb and gutter: 1.2 meters (m) (4 feet (ft)) min. – If parking, then 1.5 m (5 ft) min. With curb and gutter: 1.5 m (5 ft) min. – 0.9 m (3 ft) min. ridable surface, not including gutter pan. – 3.3 m (11 ft) total with no curb. – 3.5 m (12 ft) total with curb. 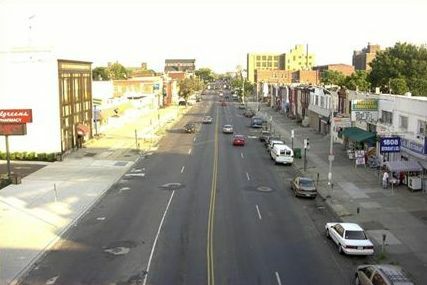 Reduce number of travel lanes. Remove, narrow, or reconfigure parking. Encourage crossing/merging in advance of intersection. 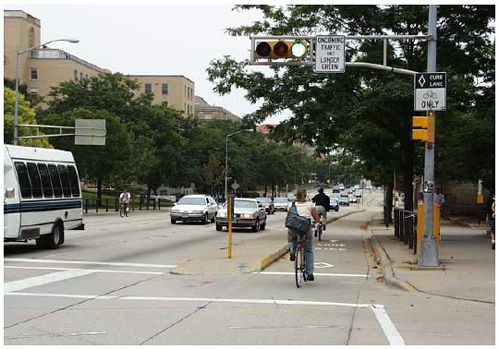 Use of broken lane stripe at bus stops and intersections. Avoid dual right–turn lanes if possible. Cross high–speed ramps in areas of good visibility. Cross ramps at right angle. Consistency in shape, legend, color. Delineate the preferred paths through complex intersections or across high–speed ramps. 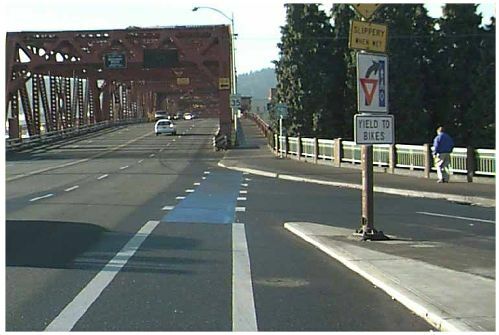 Tested in Portland, OR, with mixed results. Prevent circuitous travel on one–way streets. Warning signs at intersecting alleys and streets. 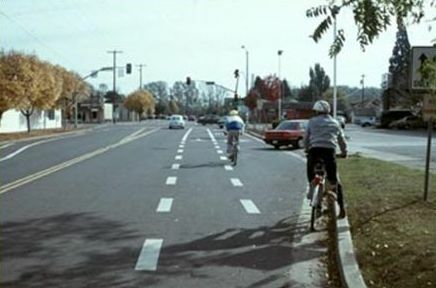 There are many ways to design for bicycle lanes on vehicular roadways. 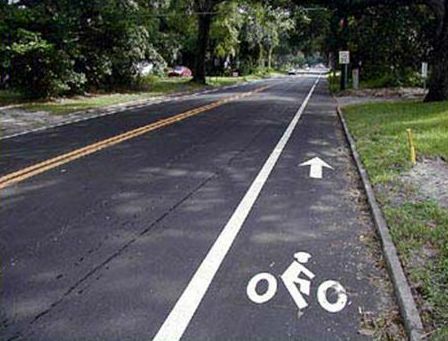 Use of specific design elements create safe and efficient bicycle lanes.